Great looking track Rich. Hope to have a chance to run some laps someday. Yeah Rich, nice track. Why don't we start an HO class? East Haven Raceway has temporarily been converted to an oval. It will be put back to its original configuration by the end of February, 2010. 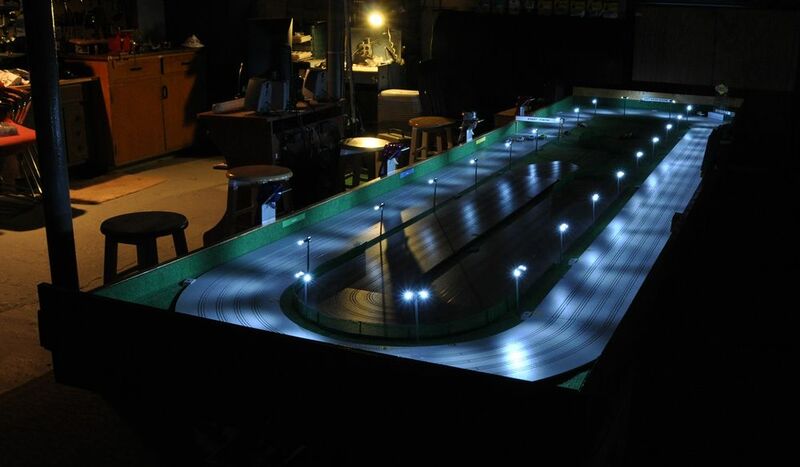 I have recently added lights for night racing on the oval track. 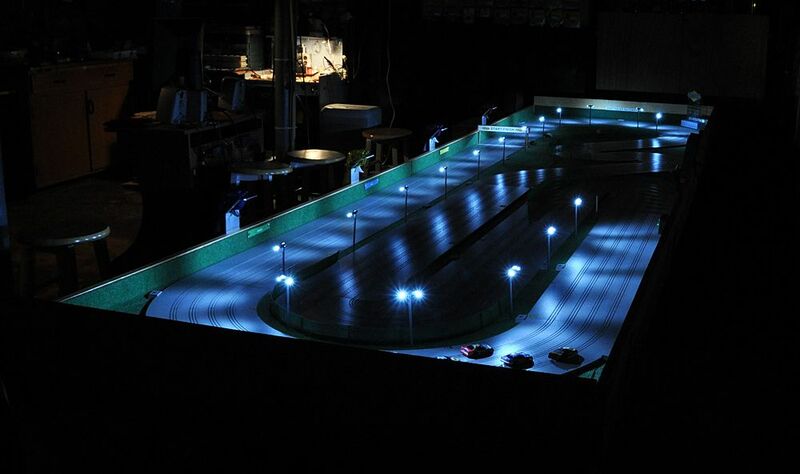 I grew up watching beat-up modifieds slipping in and out of the lights around decrepit West Haven Speedway, and to me, nothing makes oval track racing look better than lights. Nice work, RichD. That's some nice work Rich. Nothing better than running under the lights. I got ambitious and stained the table and gave it a finish coat of polyurethane. All of the graphics have been redone. 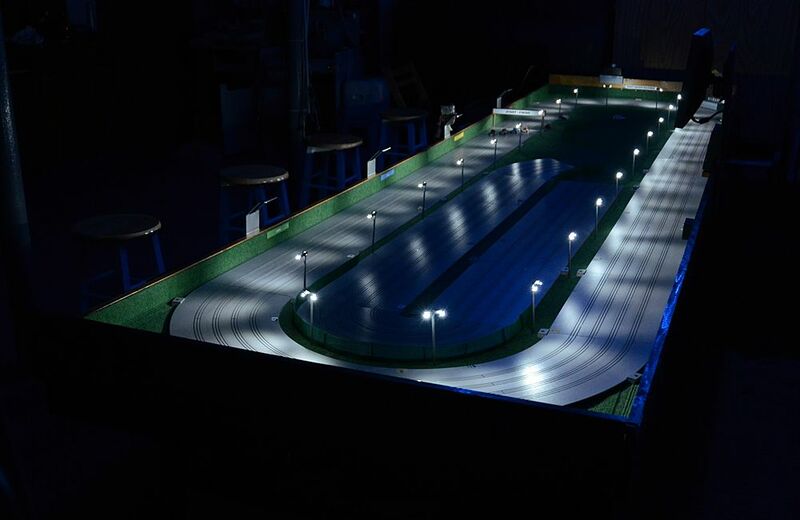 Here is the track converted to an oval with the rest of the lights installed. 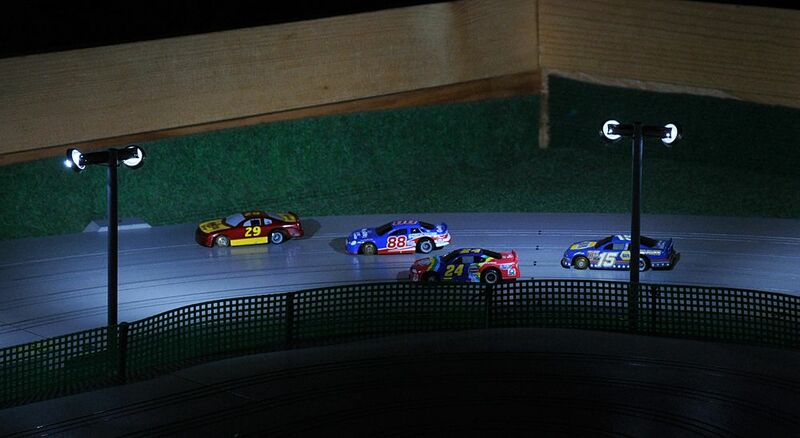 Here is a video of racing under the lights. 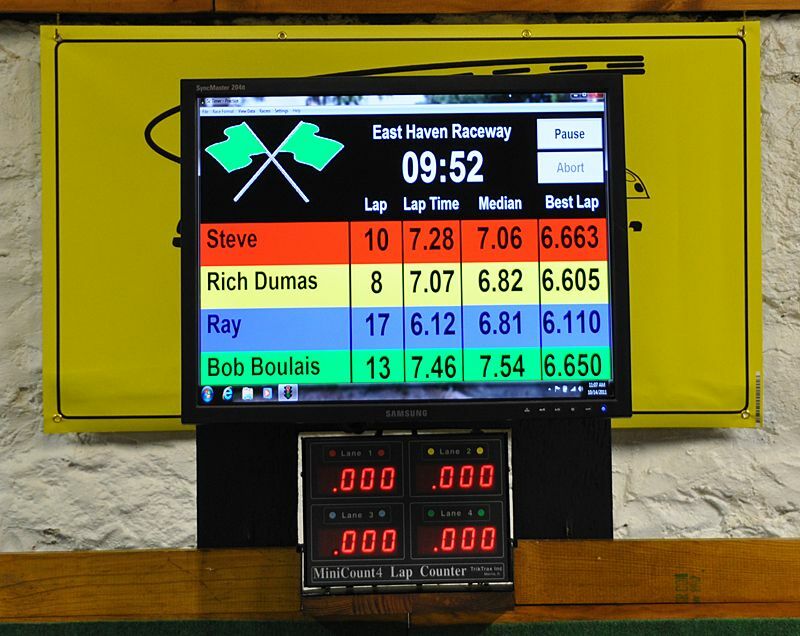 East Haven Raceway now has Trackmate. There is a 20 inch monitor at the back of the table. I have installed a couple of strings of blue LED Christmas lights on the ceiling to use when I run night races. Nice!! I'd like to run on that!!! I live in EH and we race primarily t-jets, we should have a non race track day. Just some goofing around and what not. 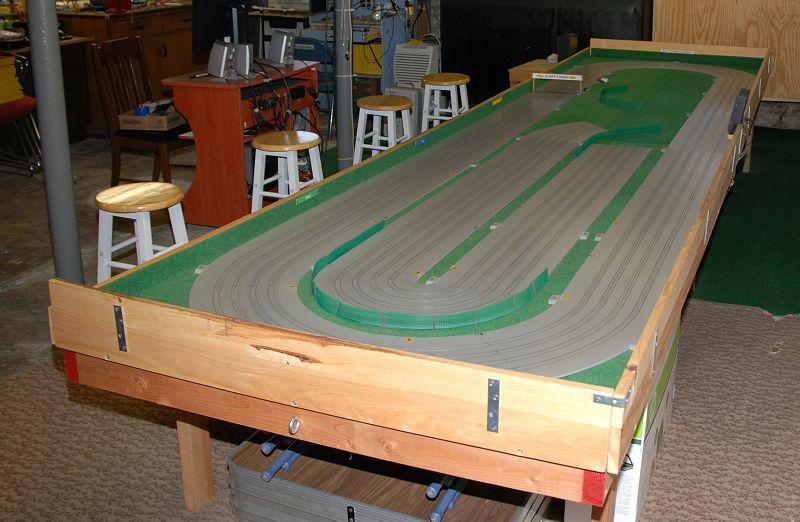 We have a track also and could always use some more "racers". All times are GMT-8. This page was generated at 05:52 AM.